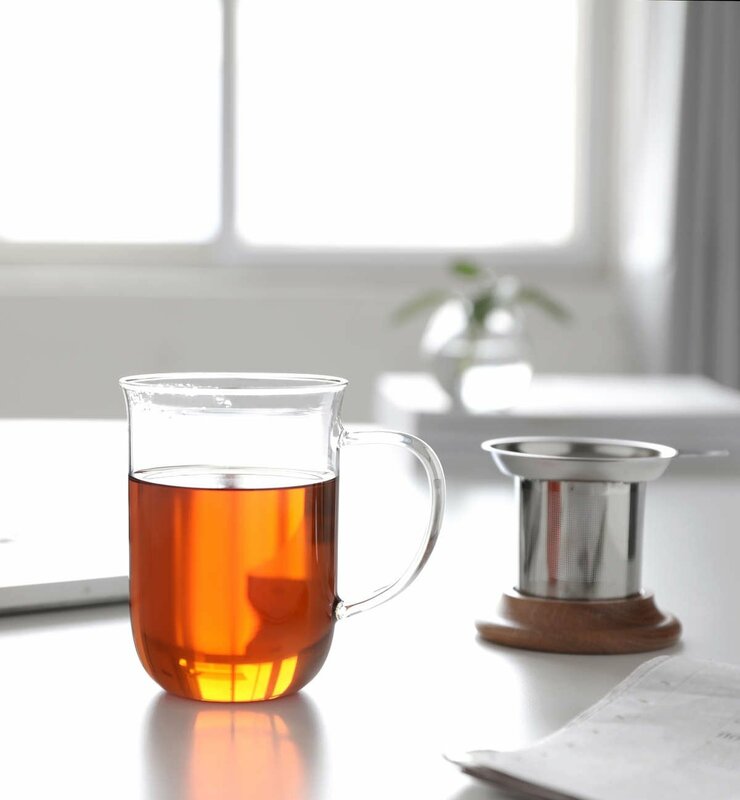 This beautiful and simply designed glass mug allows you to admire the visual show that your tea puts on for you. Every day you miss it when you use your porcelain mug. Don’t miss out anymore. The Minima mug with removable infuser is here to stay. Glass teaware is all about the performance. Once your tea leaves start mingling with the water, the result is like a painting. Lines of colour begin the fill the glass and everything turns the colour of pine needles, rose petals or maple syrup. It’s a visually stimulating experience that is utterly intoxicating. You, who values beauty in your life. You, who takes the time to make your home beautiful. You, who only buys striking teaware that is cherished and admired. It’s time for you to experience the magic of a cup of tea made in a perfect glass mug. 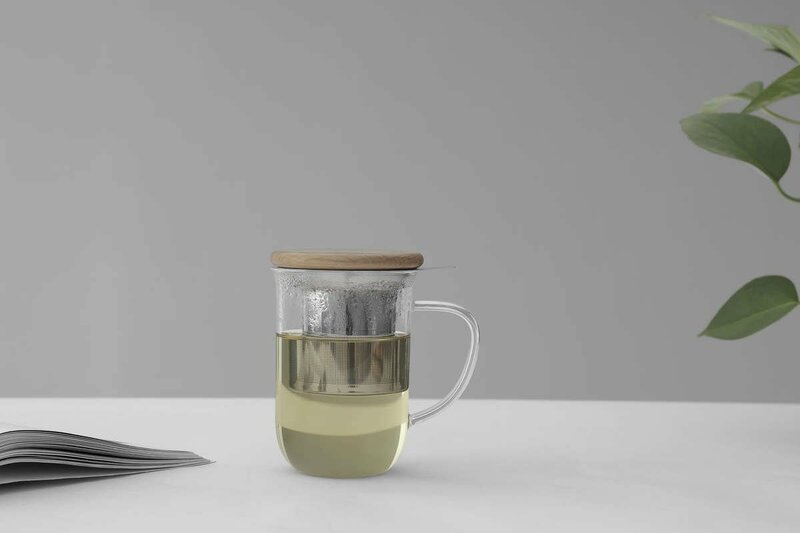 The Minima Balance Tea Cup is here to make that happen. This glass mug will become your favourite tea time companion. 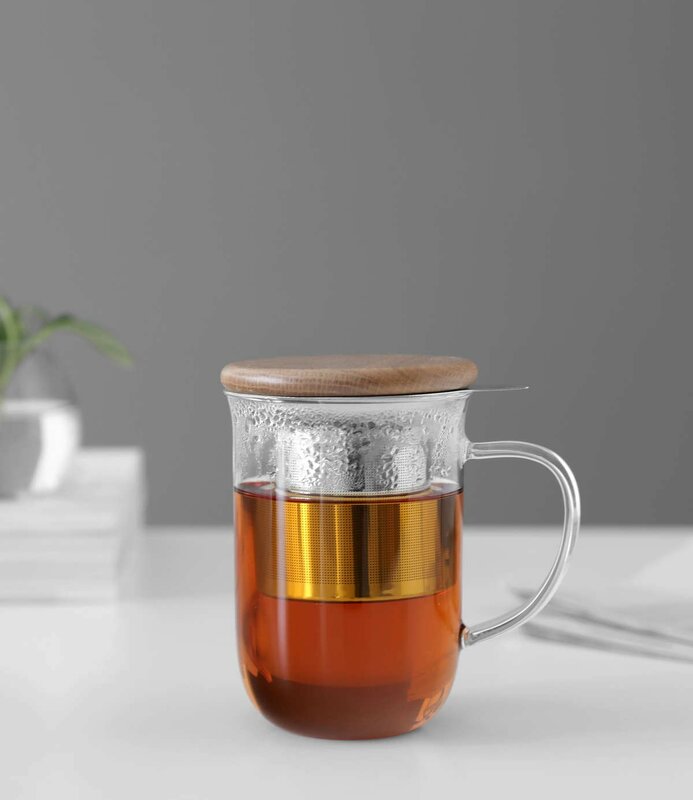 You’ll love how easy it is to brew tea to perfection right there in the mug. No teapot required. Once you’re ready to drink, simply remove the filter and use the delightful wood lid as a saucer. As with all thoughtfully designed items, everything fits together flawlessly. Prepare to be amazed. This generously-sized mug holds 550 ml of your favourite brew. Glass is a wonderfully sensory material to house your tea. Being clear, it means you can enjoy your drinks visually and better appreciate the way their colours play with the light. No, this cup is not microwave safe. What is the best way to clean this cup? Hand-washing in warm soapy water is best. This beautiful glass cup with removable infuser is just as easy to hand wash as any other cup.